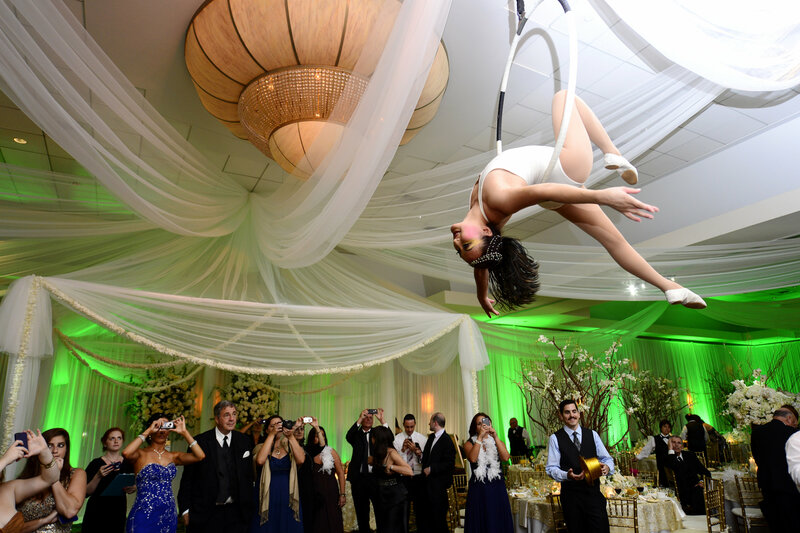 There are a million ways to wow guests at your wedding: personalized details that make them feel special, gorgeous floral centerpieces, and amazing entertainment. 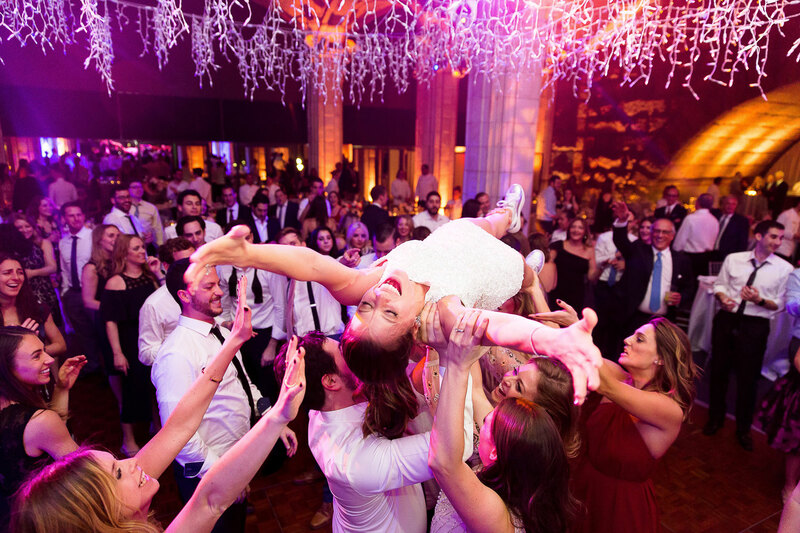 Related to the latter, many couples cite wanting a fun party for their loved ones to enjoy as one of their ultimate goals for the reception. 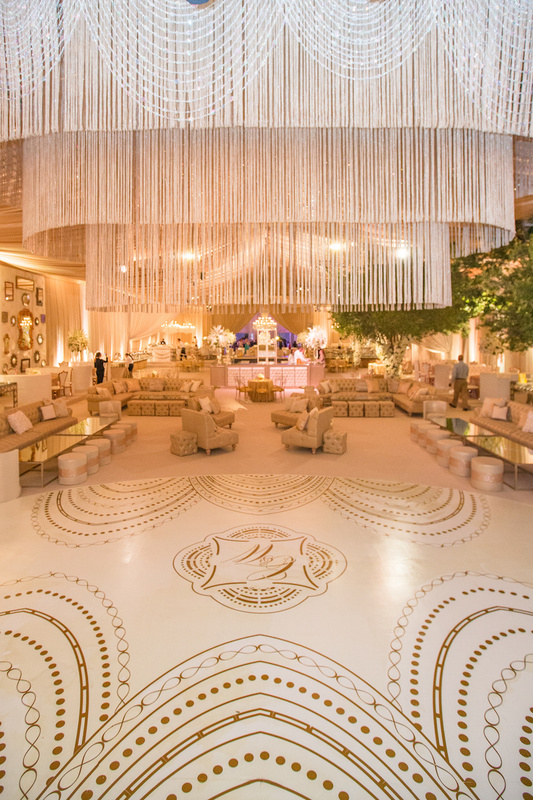 One way to ensure everyone heads to the dance floor is to decorate the area above it, making it the pièce de résistance of the space. 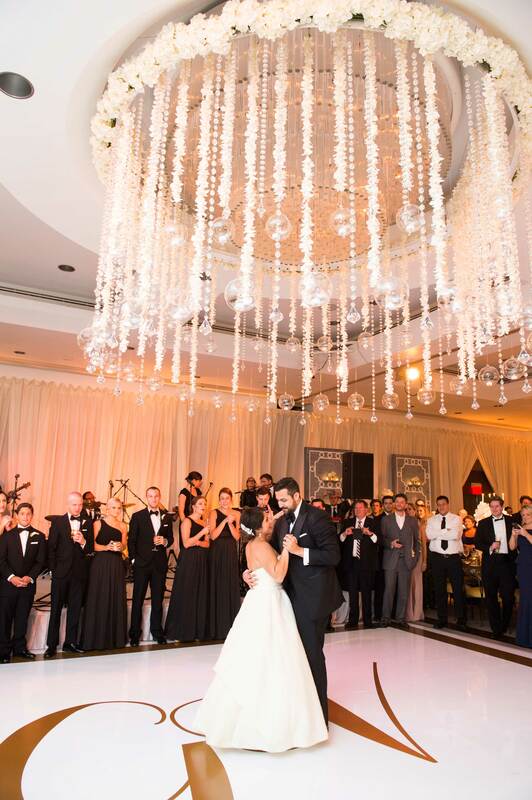 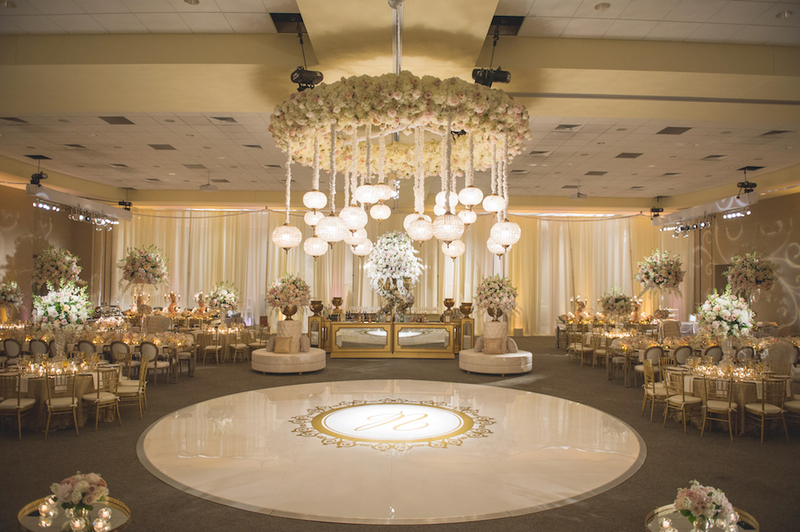 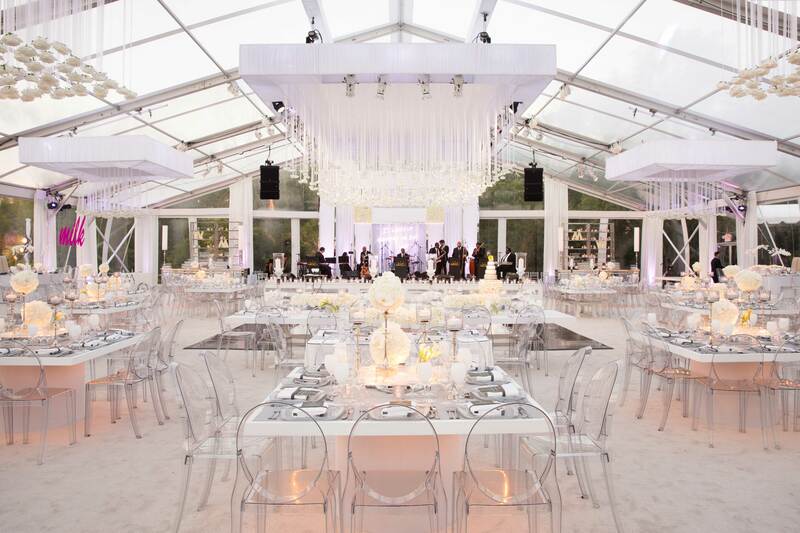 Some banquet hall and hotel ballrooms come equipped with a beautiful chandelier; however, many modern couples are taking it one step further and adorning the ceiling above the dance floor with gorgeous installations of crystals, lanterns, or florals. 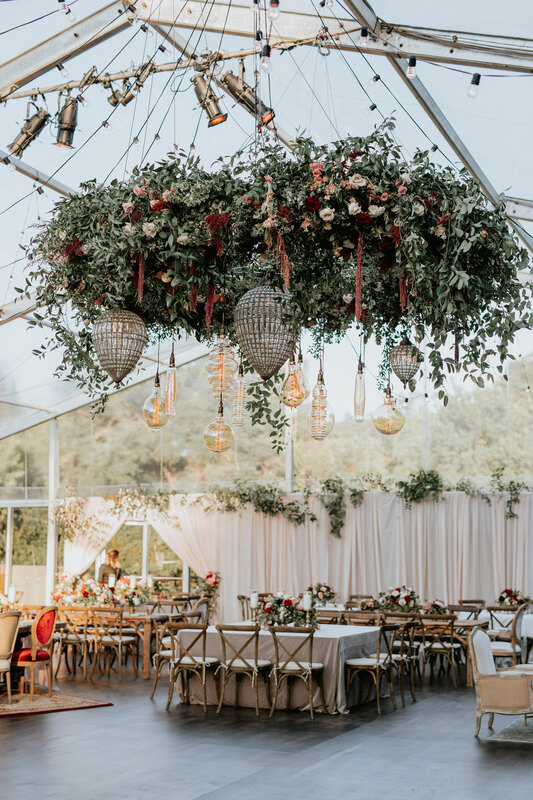 From opulent floral chandeliers ideal for formal fêtes to cascading string lights overhead for laid-back soirées, the options are plentiful. 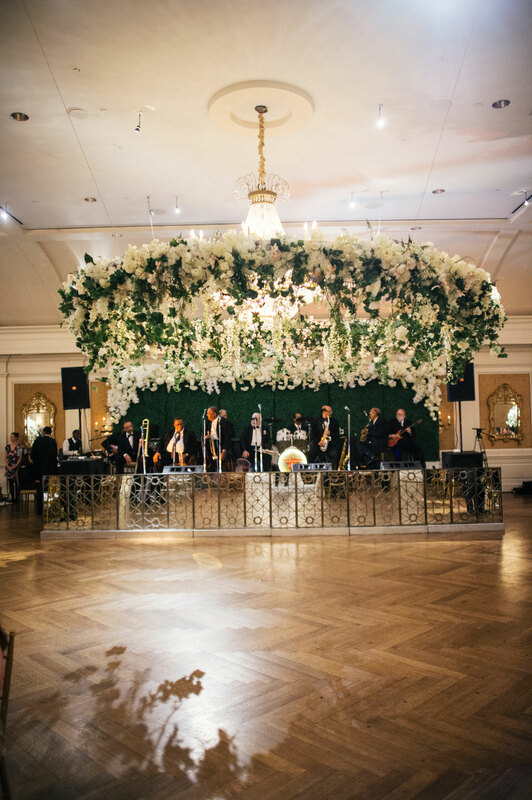 Not only will these beautiful décor pieces encourage attendees to dance the night away, but they will look incredible in photos and surely make your guests feel as though they've been to the wedding of the century. 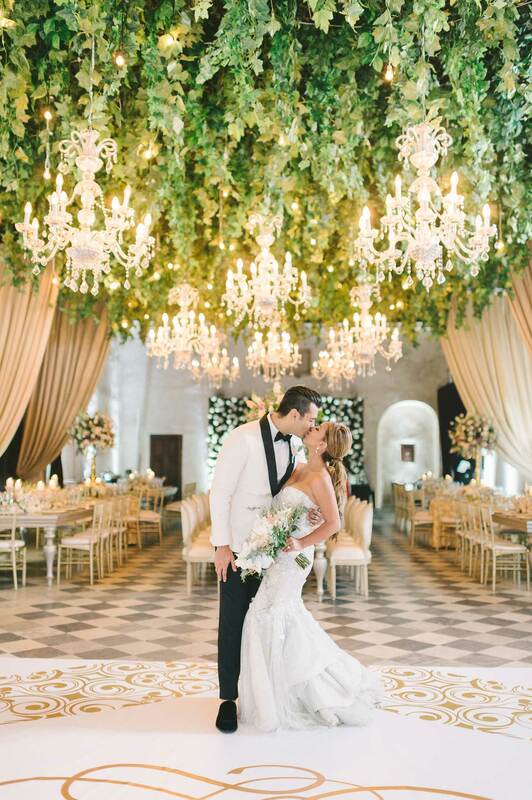 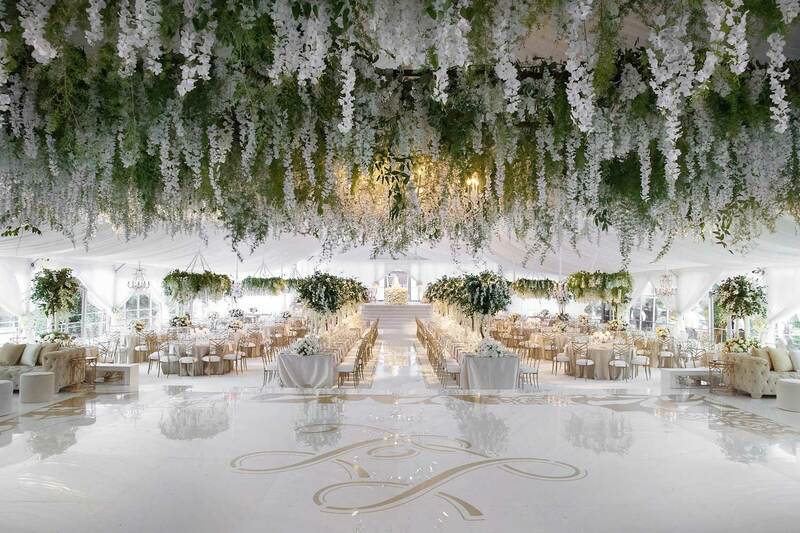 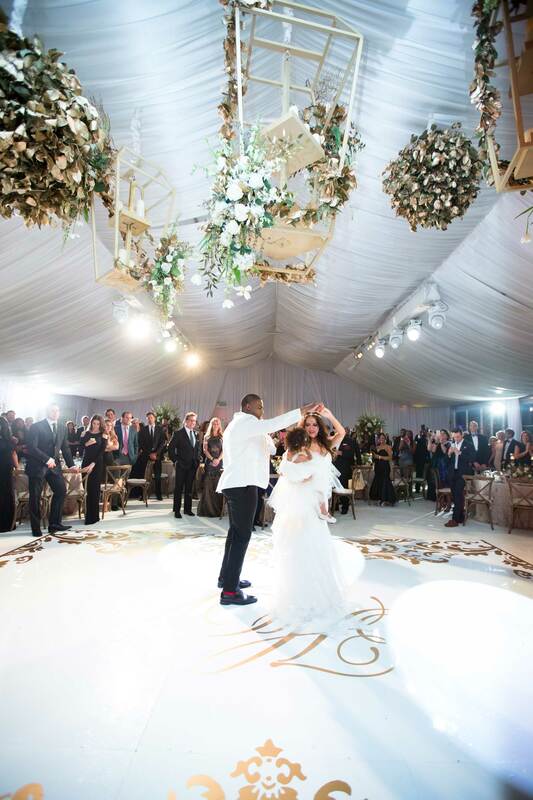 Take a look at 14 gorgeous floral chandeliers and ceiling installations over dance floors in the images below. 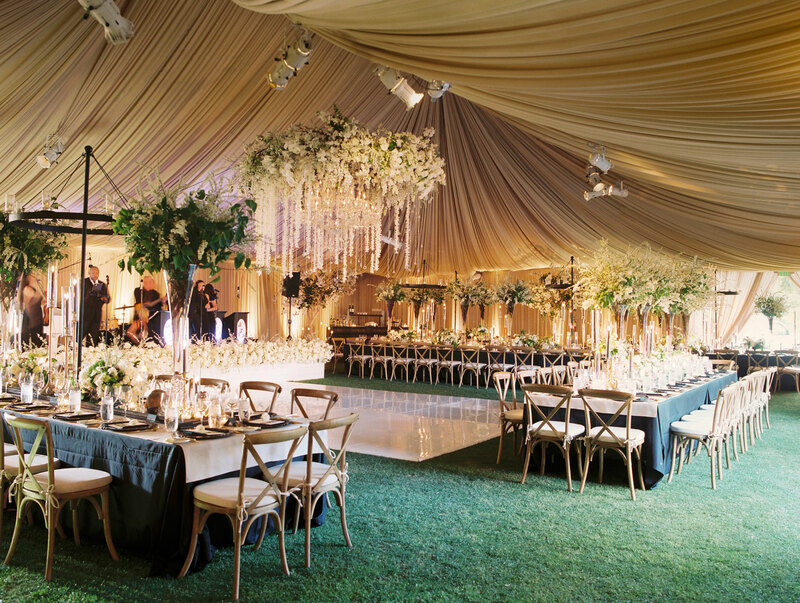 To see more from these impeccable real weddings, click on each photo! 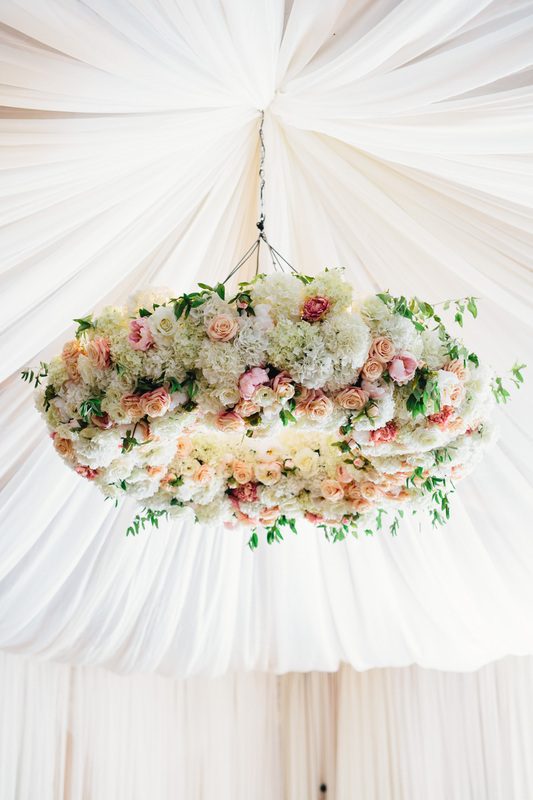 For more wedding ideas, discover must-have tips for hosting a destination wedding, get insider advice on all things wedding planning, and find out how to make an informed engagement ring purchase!